It’s been a long time coming, but grouped notifications are finally coming to Apple’s iOS mobile operating system. The company announced the new feature at its Worldwide Developer Conference (WWDC) 2018 keynote presentation. 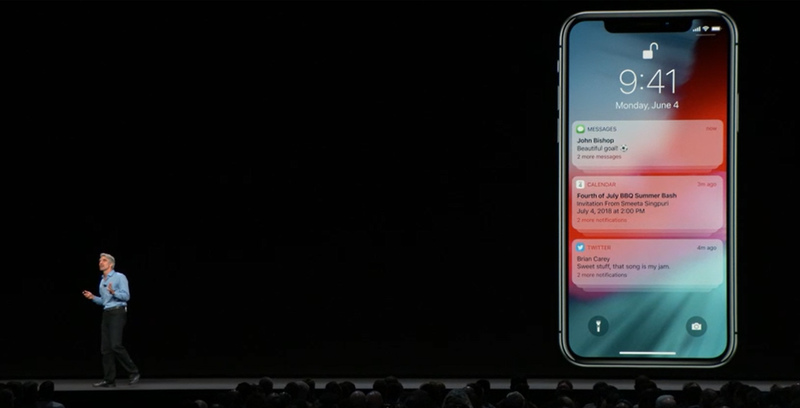 Once iOS 12 lands later this year, the iPhone and iPad will group notifications from the same app into one notification thread. If you’ve ever seen macOS’s Time Machine app, the way in which notifications are stacked will look familiar. Tapping on a notification allows the user to individually view and dismiss notifications as needed.